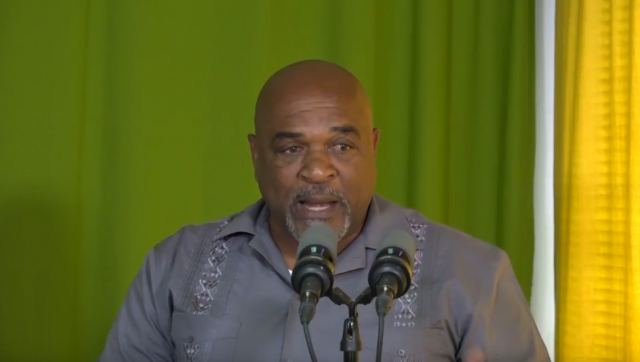 Agriculture minister Reginald Austrie has sought to clear the air over the misconception that financial assistance being given to farmers is a form of compensation. Government has given financial assistance to farmers in portion of 10 and 3 thousand dollars to assist in building back their farms, however there has been the notion that these forms of assistance given were as compensation for damaged farms. Mr. Austrie told farmers at a recent meeting that the monies were not given as compensation because government did not damage their farms. Government was only assisting them to get back on their feet following Hurricane Maria. Mr. Austrie says there is still more money under the program by the World bank to assist farmers who feel they need help with their farms. He says farmers can file their complain which will certainly go through an arbitration and review, independent of the government. The Agriculture Minister says he will continue constant engagement of farmers at various levels. He has however cautioned farmers to be careful about negative comments they make about the program but instead show appreciation for persons who have volunteered their time and effort in assisting the farming community to regain strength.